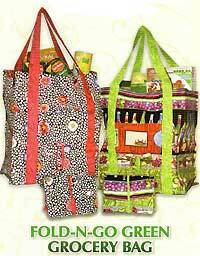 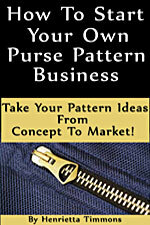 Eco friendly grocery bag pattern that folds up neatly to carry with you everywhere! 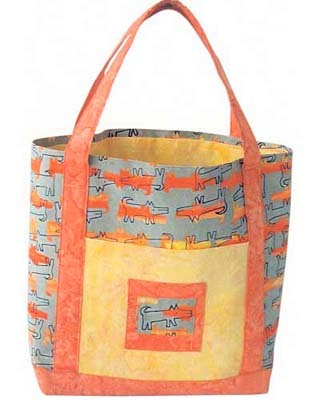 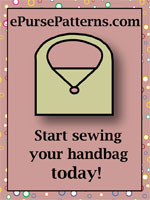 This original bag design is by Lynn Scheifelbein of Oak Street Quilts & Bags and is easy to make. 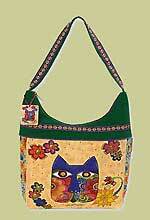 Finished size is 14" W x 16" H x 8" D.